1946 specification trailblazer sign. Manufactured in 1946. 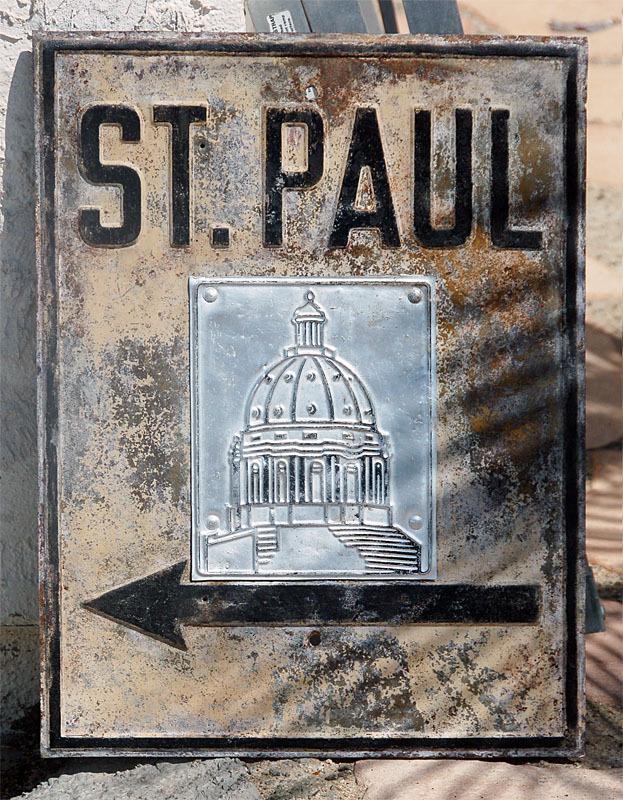 This trailblazer is primarily made of steel, with the state-capitol overlay being embossed on aluminum. 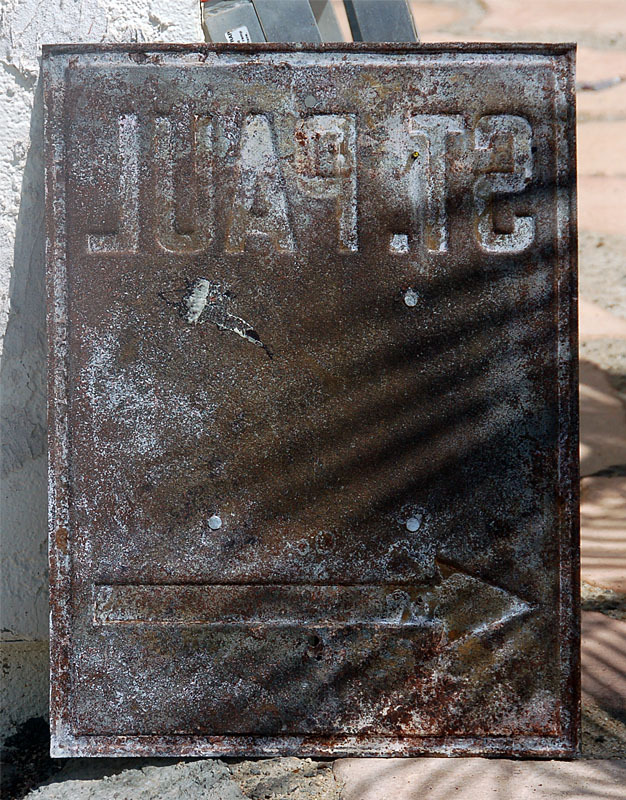 There is a "546" identifying stamp on the aluminum, dating this sign to May, 1946.